Ahwazi rights groups reported that Iranian authorities have transferred two Ahwazi activists previously sentenced to death to the infamous Evin Prison in Tehran. Activists warn this means their execution is imminent. 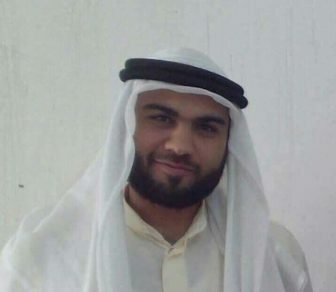 The two Ahwazi men, 34-year-old Abdullah Abdullahi [Karamullah Ka’ab], a married father of three from the Shawur district of Susa (“Shush” in Farsi), and 31-year-old Qassim Beit Abdullah (Kaabi) from the village of Kaab Beit Allawi, were sentenced to death in October 2017 on charges of ‘enmity to God’ and ‘corruption on Earth’ over their alleged membership of a non-existent opposition group. Activists report that there is no evidence against them and that the group they are accused of belonging to does not, in fact, exist! Because of this, the Supreme Judiciary in Tehran overturned the original death sentence; however, the prosecutor appealed the verdict to Branch three of the Revolutionary Court using ‘confessions as evidence’. As a result, the Revolutionary Court again sentenced them to death on 31 August 2018. Since then, they have been imprisoned in an exile prison located in Isfahan province, around 517 km from their homes in Ahwaz region. This prevents the prisoners from seeing their families, and is a common tactic used by the Iran regime to demoralise dissidents. nobody has heard of because it doesn’t exist. hnic groups. Its hope is to fabricate imaginary ‘opposition groups’ to justify its increasing brutality towards Ahwazis and thus claim they are posing a risk to ‘national security’. 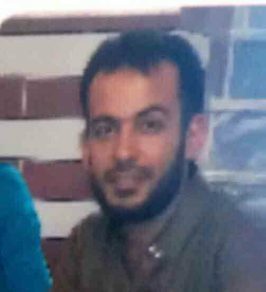 Hassoun [Hassan] Bait Abdullah [Karamullah Ka’ab], Abdullah Abdullahi’s brother, aged 31, from the village of Derjal, sentenced to 25 years imprisonment. All of these men have reportedly been subjected to torture and forced to sign false confessions admitting to being founders of the aforementioned nonexistent anti-regime group. The regime’s violations of human rights in Ahwaz are now so systematic and widespread that many Ahwazis now bleakly joke that there are no rights left to violate. Prisons are overflowing with dissidents and prisoners of conscience. Rising protests and public anger towards the Iranian regime due to its mismanagement of the economy have resulted in even more extreme measures against Ahwazis. The cases of Abdullah Abdullahi, Qassim Beit Abdullah and other imprisoned, innocent Ahwazis need to be raised by international governments as well as human rights organisations around the world. More pressure urgently needs to be put on the Iran regime to stop these brutal violations. The UN also have an obligation to uphold their Convention on Human Rights and should be called on to condemn what is happening to Ahwazis in Iran. Since 2005, when Ahwazis rose up against their oppression, over 70 Ahwazi activists have been brutally executed by the regime, and this has been largely met with silence from media and human rights organisations. This must change. Rahim Hamid is an Ahwazi author, freelance journalist and human rights advocate. You can follow him on his twitter account. Ahwazi, Iran, Rahim Hamid, special report, urgent.